How To Make Money In Online Affiliate Marketing Infinity Reloaded Review – Biggest SCAM or Legit Opportunity? 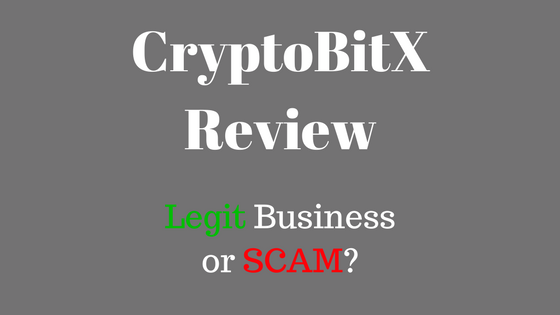 CryptoBitX Review – Dangerous SCAM or Real Business? Hey Folks, Jason here and thanks for stopping by to check out my CryptoBitX Review! In this review, you will be able to know all the facts about CryptoBitX before you decide to join the company. I will cover what is CryptoBitX, how much it costs, compensation plan, and more important information. CryptoBitX is another Bitcoin Gifting Scheme in the MLM niche. It is created by Faisal Kamal who hails from Dubai. Faisal Kamal is also the past owner of another Bitcoin Gifting Scheme called FastBTC, which was a failed product for Kamal. There’s no data on both the “about us” and “support” pages to tell you what the website is all about nor offer any help (very strange and possible red flags). Having such flaws in a website does not create trust and does look very unprofessional especially to smart entrepreneurs. There is actually no retail products nor services available when it comes to the CryptoBitX system. If you are planning to join the CryptoBitX company with the intention to promote it to your list or on social media as a product, forget about it. The only thing that you will be able to market is the affiliate membership itself. If you are interested in participating in the CryptoBitX compensation plan as an affiliate, you will be required to gift bitcoins to other affiliates through Kumar’s 2×7 matrix plan. The CryptoBitX 2×7 matrix plan allows an affiliate to be placed above the top of the matrix and that same affiliate would then have two (2) positions right below them. The first level of the matrix is made up of the first 2 positions while the second level is created by adding two (2) other positions directly below them. More levels of the matrix are created in the same way as the first two levels and go up to 7 levels. Each new levels in the matrix hold double the position as the level above it. So this means that each CryptoBitX matrix level functions solely as a cash gifting tier independently. Members who are just starting out as an affiliate of the CryptoBitX will be required to donate 0.001 bitcoin (BTC) to the affiliate who sponsored them. When this 0.001 bitcoin is paid, the affiliate member is then qualified to receive his/her own 0.001 bitcoin gift from two (2) sponsored affiliate members who joined after them and are placed in the very first level of their existing matrix. The remaining 6 matrix levels functions the very same way, with the exception being the number of donation received as well as the amount which is donated. Level 1 – Affiliates donate 0.001 bitcoin to the affiliate who recruited them then receive 0.001 bitcoin from 2 successfully referred affiliates. 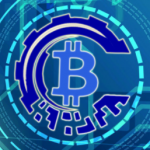 The price to join as a member of the CryptoBitX is currently set at 0.001 BTC (bitcoin) and this will be paid out to the person who recruited you to join the CryptoBitX system. If you were to go “all in” and gain access to everything that the compensation plan has to offer you will then need to pay the full price of 9.2265 BTC (bitcoin). When it comes to the verdict of the CryptoBitX system, there are many things to consider. There are obviously some red flags that you should consider as I pointed out above. The CryptoBitX is essentially another cash gifting bitcoin company with no retail products or services to sell to other customers. The only way for affiliates who join the CryptoBitX to earn money is when they successfully recruit others to join the company. Therefore, when people stop recruiting others, the money will naturally stop flowing the way it should. This will ultimately lead to the demise of the company. Even though current members make money with the CryptoBitX, it should be clear that to join up with the CryptoBitX is still a big risk to take especially if you do not have an established email list to promote the offer to. If you have been struggling to make a decent living online backed with the right training, tools, and support needed to achieve online success, then you are seconds away from discovering the #1 way to make money online. This is the exact same system I currently use to earn a full-time online income. Click here to check it out now for more information. You will finally get the help & support you have been looking for. 26 Responses to CryptoBitX Review – Dangerous SCAM or Real Business? I tried to join the wealthy affiliate but the system said am not able to join because my country is not supported. What should i do? Am a Nigerian. Certain region are excluded from the free membership, however, the premium membership is available here (just choose the premium option). Here’s my quick review. I may be wrong or maybe I’m right. They said it’s a member to member donation website where everyone will get bitcoins after completing the matrix. After signing up, we need to pay .001btc to be upgraded to the first stage. But I think it’s not likely possible. Like they said, at Stage 7, you’ll get 1024btc, but when I do the math, 1024000 donors are needed to donate .001btc each for the first member to have 1024 btc. Or is my math wrong? The admin on their Facebook group posted some minutes ago; 34000 members so far. So I think about 990000 more donors are still required for the first person to have 1024btc. 1024 (btc total) ÷ 0.001 (btc from each donor)= 1024000 donors. Thus 1024000-34000=990000 donors. Your calculations are actually sounding right on. At the end of the day CrypoBitX is nothing more than a simple cash gifting scheme in which affiliates gift money to one another through the use of bitcoin. Even with 34000 Facebook members, these systems usually fades when the recruitment levels die down. I haven’t heard about CryptoBitX until now but thank you very much for the heads up because I am sure I would have come across in during my Google searched at some point. Its always good to find informative articles like yours to help you avoid pitfalls and losing money. Your review has been in depth and covers every point. Staying safe on the Internet these days can be hard. Glad you found my CryptoBitX review helpful. Hi Jason, thanks for your review. I would never involve myself with Criptobitx. It looks like a pyramid scheme because people are just trying to recruit other to the platform. This is terrible because I know it’s not sustainable and people always end up losing money. The best strategy for a beginner to start making money online is definitely affiliate marketing. And Wealthy Affiliate is also my recommended platform to get training and support. 1) There is no actual product or service that provides value to the end-user. 2) It requires user to persuade others to join and pay without getting anything (literally begging). This is a form of pyramid scheme and it will not last. When the owner gets enough money from the down line, he will just close off the company and get away with it. One must be careful about get rich quick scheme and such pyramid scheme that has no value add to the end users. I would strongly everyone to stay clear from CryptoBitX. thank you for sharing a very interesting article about program called CryptoBitx. I have to point out, your review is very informative and you really explain in detail everything we need to know about that program. I really learned a lot about that program by reading your article. Thank you for that. Thanks for your comment, Karlo. Wow I’m actually pretty astounded by these MLM people. So far I’ve come across fashion MLM, coffee MLM, and a bitcoin-based one now? Not that I am into MLM but you gotta hand it to them, they are pretty innovative aren’t they? Awesome review man, glad to know that you exposed their true nature. Keep up the good work! Yea, these MLM programs are getting pretty innovative, however, most of them are not providing any value to the marketplace. Hi there! I just finished reading your review on Cryptobitx and thought I would just write a few lines to offer my thoughts on this system. Its amazing how these things don’t get banned in my opinion. I can see why many people would be tempted by these kinds of systems and I can also see how a lot of people will probably do very well. However, there are also going to be hundreds of people that fail badly here. As you have rightly pointed out in your article, these systems only ever go one way once the recruits start drying up and people are no longer joining. The money stops flowing and the only people that really benefit are the ones at the top of the pyramid! I like your suggestion of joining Wealthy Affiliate as an alternative. Tha’ts a much better and safer choice! I totally agree with your thoughts, Andrew. That is why it is better to have your own business where you are in charge of the profits which you make, instead of depending on a pyramid type of structure which the only way to actually earn money is through your down-line. Overall, the Cryptobitx will crumble as time passes. I would prefer to invest my time into systems that will stand the test of time and actually provide value. I assume that the people who opt into the Cryptobitx earlier on will earn some money, but as you know, systems like this without an actual product is bound to fail. Glad to know that you did discover the community of Wealthy Affiliate! You are one fortunate individual. After reading your review on CryptoBitX, I’ll stay away from this one. It looks like a dud since you mentioned that CryptoBitx had no “about” nor “support” page. I have been skeptical about these programs because your overview of the Seven Level Compensation plan shows that affiliates must keep recruiting to earn more bitcoins, meaning it’s another pyramid scheme. Thanks for warning the newcomers affiliates. That’s a smart choice. It is better to invest in systems that are known to be legitimate and already established. This entire give-and-get system is just perplexing. How many cycles can you turn over until you just straight up run out of people on the planet? The way I understand, you’re just part of someone else’s pyramid and that’s a system that’s bound to fail. You can’t expand and you can’t diversify your business if all you do pass around bitcoins. These bitcoins gifting schemes are just useless in my opinion. Hello Jason am aimable from Rwanda in Africa I was also wondering about this system cryptoBitx and I was almost to invest so pls tell me bcs I wish to join all such kind of online business is that true a scam pls tell me? I am not saying CryptoBitX is a scam. As I said within the review, they are a cash gifting scheme with no retail products to sell. I do not recommend these type of business because they are not long term. It will suit you best if you invested in a business which will last for many years. I like how informative your article is. I was looking to try out CryptoBitx but was not too sure whether it was a good idea or not. It seems like it’s a scam all along. Glad I never tried it yet. Thank You very much for saving my time. I wouldn’t necessarily say that the CryptoBitX is a straight up scam system, however, it does contain some huge red flags that do point out some unethical business strategies. I am glad that you found my review in time before you actually invested your money. If you would really like to learn true step by step ways on how to start your own online business and create a real passive income in a community setting then you will find the training at Wealthy Affiliate to be one of the best online at this time. Thanks for stopping by and all the best to you as you create wealth for yourself online.